Fives exhibits its process expertise, high-performance technologies and digital tools for steelmakers at AISTech 2019 on May 6-9, 2019 in Pittsburgh, USA. Fives will present its complete solutions for reheating, induction, strip processing, tube and pipe processing and finishing, as well as digital technologies at Metal-Expo'2018 on November 13-16, 2018 in Moscow, Russia. 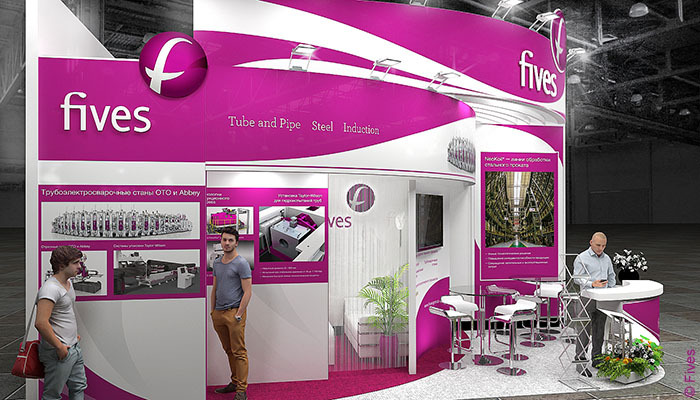 Fives will participate at China International Import Expo (CIIE) to be held on November 5-10, 2018 at the National Exhibition and Convention Center in Shanghai, China. Fives will participate as a platinum sponsor at the 110th meeting of the Galvanizers Association on October 14-17, 2018 in Memphis, USA. Fives presents its smart surface inspection system tuning at the Surface Inspection Summit (SIS) Europe which takes place on September 18-19, 2018 in Aachen, Germany. Fives will make a presentation and provide sponsorship of the SEAISI conference, organized by the South East Asia Iron and Steel Institute, which will take place on June 25 – 28, 2018 in Jakarta, Indonesia. Fives’ technologies for advanced high-strength steels will be presented at AISTech 2018 on May 7-10, 2018 in Philadelphia, USA.